Within the ranks of the rich, including the “owners of the means of production,” there inevitably developed an inner circle known as Society. Such groups always believed themselves to be graced with “status honor,” as Weber called it. 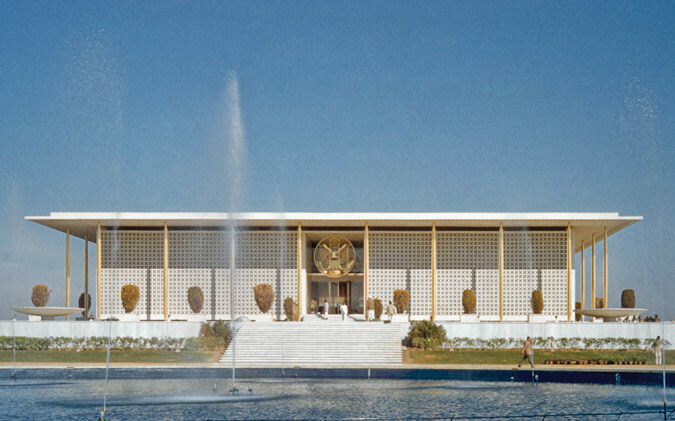 Status honor existed quite apart from such gross matters as raw wealth and power. Family background, education, manners, dress, cultivation, style of life–these, the ineffable things, were what granted you your exalted place in Society. Military officer corps are rife with inner circles aloof from the official and all-too-political hierarchy of generals, admirals, and the rest. I went to work on a book called The Right Stuff thinking it would be a story of space exploration. In no time at all, I happened upon something far more fascinating. 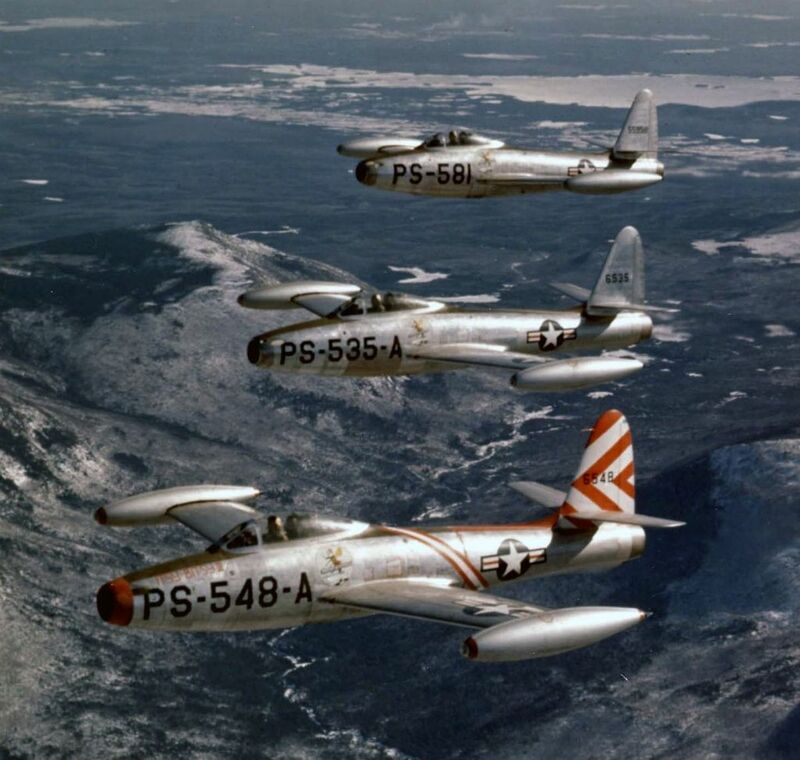 The astronauts were but part of an invisible, and deadly, competitive pyramid within an inner circle of American military fighter pilots and test pilots, and they were by no means at the apex. I characterized this pyramid as a ziggurat, because it consisted of innumerable and ever more deadly steps a fighter pilot had to climb to reach the top. The competition demanded an uncritical willingness to face danger, to face death, not once but daily, if required, not only in combat but also in the routine performance of his duties–without ever showing fear–in behalf of a noble cause, the protection of his nation. There were more ways to die in a routine takeoff of a supersonic jet fighter of the F-series than most mortals could possibly imagine. At the time, a Navy pilot flying for twenty years, an average career span, stood a 23 percent chance of dying in an accident and a 56 percent chance of having to eject at some point, which meant being shot out of the plane like a human rocket by a charge of dynamite under his seat, smashing into what was known as the “wall” of air outside, which could tear the flesh off your face, and descending by parachute. The figures did not include death or ejection in combat, since they were not considered accidental. According to Korean War lore, a Navy fighter pilot began shouting out over the combat radio network, “I’ve got a Mig at zero! A Mig at zero! I’ve got a Mig at zero!” A Mig at zero meant a Soviet supersonic fighter plane was squarely on his tail and could blow him out of the sky at any moment. Another voice, according to legend, broke in and said, “Shut up and die like an aviator.” Such “chatter,” such useless talk on the radio during combat, was forbidden. The term “aviator” was the final, exquisite touch of status sensitivity. Navy pilots always called themselves aviators. Marine and Air Force fliers were merely pilots. The reward for reaching the top of the ziggurat was not money, not power, not even military rank. The reward was status honor, the reputation of being a warrior with ultimate skill and courage–a word, by the way, strictly taboo among the pilots themselves. The same notion of status honor motivates virtually every police and fire fighting force in the world. Cole: Why is fashion important? What does it tell us? 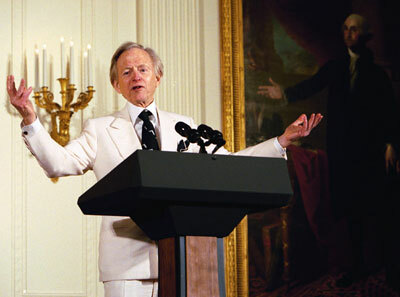 Wolfe: Every man and every woman is equally fixated on fashion. Men who would bridle at that suggestion are usually men who want to fit in in whatever milieu they want to be in. They do not want to stand out in any way, shape, or form. That’s just as true in the stands at the stock car races as it might be at Sullivan and Cromwell, the law firm. Somebody like myself, perhaps, stands out on purpose with just minor variations on the conventional. My suits are conventionally cut. They just happen to be white. The same with shoes, everything else. I feel it’s to a writer’s advantage, since he sells a mass-produced product called a book, to catch attention any way he can. This is not shared by my fellow writers, you understand. But you’ll notice how few writers are willing to appear on the back of a book with a necktie on. That’s a bohemian fashion that’s supposed to show one way or another you’re thumbing your nose at convention. Then it becomes a convention itself. If I saw one more writer with an open shirt, the wind blowing through his hair, I was going to stop buying books. They’ve calmed down a little bit, but still the tie is anathema. Ironically, if you read a book such as The Intellectuals on the Road to Class Power, about the arts in Czechoslovakia under a Communist regime, the writers in the Writers’ Union were dressed like businessmen. They were on top. If you were in the Writers’ Union, your books were published automatically, even if no one read them. And I’ve just been reading Huizinga’s The Autumn of the Middle Ages. Cole: That’s a very great book, I think. Wolfe: The attention to status detail and dress is absolutely fascinating. I forget the French nobleman who was found guilty of a capital crime, who insisted on arriving in his full regalia–an ermine-trimmed coat and the works–for his beheading. He just wasn’t going to show up looking like a common, vulgar victim. I liked that. To this day, I think it hasn’t changed. It’s just more covert now. Style is always a window into what a person thinks of his place in the world or what he wants his place to be in the world. Balzac often would start off chapters with a description of a room and the types of furniture. He might point out that the curtains on the windows were not really damask. They were half cotton. He would give you a whole picture of the inhabitants just through his status details. Tissot, who has become my favorite painter the more of his work that I see, is a great example of that. For a long time, Tissot was written off as a sort of fashionista. He was in love with the look of women’s clothes. But I think now he’s being perceived as a great painter. Cole: He’s a much more nuanced painter, I think, than people give him credit for. 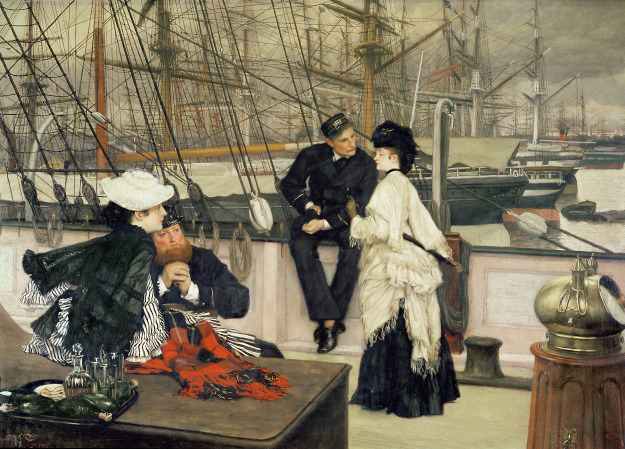 The Captain and the Mate, 1873 (oil on canvas) by Tissot.